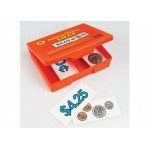 children can have fun whilst learning the value and relationship of money. The snap cards use both coin and digital values up to $5. The varying combinations help children recognise, understand and appreciate money values. Contains 66 cards measuring 6cm x 13cm in a sturdy storage container. .. 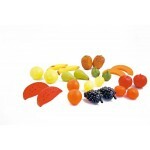 Bag of Fruit (large) 24 pc This set of 24 full sized, realistic and highly durable plastic produce is perfect for classroom use. 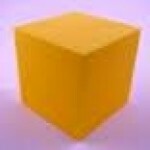 Children can use these to play shopping games and imaginative play. This se includes 2 ea apples, bananas, oranges, pineapples, grapes, figs, watermelons, pears, le.. 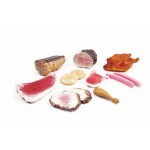 Bag of Meat (large) 12pc This set a 12 full sized, realistic and highly durable plastic produce is perfect for classroom use. Children can use these to play shopping games and imaginative play. This set includes a full roast chicken, full stringed roast pork, roast beef, 2 x different steaks,.. 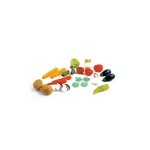 Bag of Vegetables (large) 24pc This set of 24 full sized, realistic and highly durable plastic produce is perfect for classroom use. 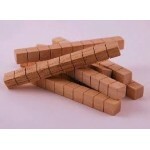 Children can use these to play shopping games and imaginative games. This set includes 2 ea of eggplants, corn, mushrooms, carrots, cucumbers, potatoes, tomatoe..
Set includes 1 piece x (10 x 10 x 10cm) block. These precision crafted blocks are the number one manipulative for teaching, number concepts, decimals, fractions, percentages, measurement, volume, grouping and operations. 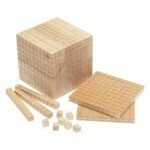 Scored in centimetre widths on all sides, these durable blocks are sure ..
Set includes 100 pieces x (1 x 1 x 1cm). These precision crafted blocks are the number one manipulative for teaching, number concepts, decimals, fractions, percentages, measurement, volume, grouping and operations. 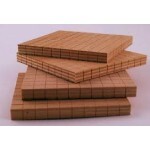 Scored in centimetre widths on all sides, these durable blocks are sure to giv..
Set includes 50 pieces x (10 x 1 x 1cm). These precision crafted blocks are the number one manipulative for teaching, number concepts, decimals, fractions, percentages, measurement, volume, grouping and operations. 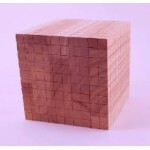 Scored in centimetre widths on all sides, these durable blocks are sure to giv..
Set includes 100 cubes (units), 10 rods (tens), 10 flats (hundreds) and 1 block (one thousand), boxed. These precision crafted blocks are the number one manipulative for teaching, number concepts, decimals, fractions, percentages, measurement, volume, grouping and operations. Scored in centim..
Set includes 1 piece x (10 x 10 x 10cm). These precision crafted blocks are the best manipulative for teaching, number concepts, decimals, fractions, percentages, measurement, volume, grouping and operations. 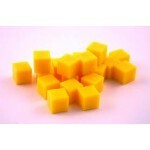 Scored in centimetre widths on all sides, these durable blocks are sure to..
Set includes 100 pieces x (1 x 1 x 1cm). These precision crafted blocks are the best manipulative for teaching, number concepts, decimals, fractions, percentages, measurement, volume, grouping and operations. Scored in centimetre widths on all sides, these durable blocks are sure to give year..
Set includes 10 pieces x (10 x 10 x 1cm). These precision crafted blocks are the best manipulative for teaching, number concepts, decimals, fractions, percentages, measurement, volume, grouping and operations. 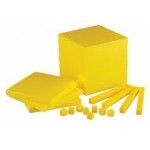 Scored in centimetre widths on all sides, these durable blocks are sure to give yea..
Set includes 50 pieces x (10 x 1 x 1cm). These precision crafted blocks are the best manipulative for teaching, number concepts, decimals, fractions, percentages, measurement, volume, grouping and operations. 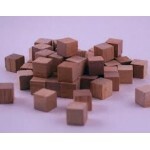 Scored in centimetre widths on all sides, these durable blocks are sure to give year..
Set includes 100 cubes, 10 rods, 10 flats ) and 1 block, boxed. These precision crafted blocks are the best manipulative for teaching, number concepts, decimals, fractions, percentages, measurement, volume, grouping and operations. Scored in centimetre widths on all sides, these durable ..
A value packed kit of 176 wooden beads, 4 coloured threading laces. The beads come in 4 colours and 2 shapes and 4 sizes gives the child "hands on" experience in the important skills of fine motor development, Matchimg, Visual discrimination, hand-eye co-ordination, patt..
Colourful and durable items that help make maths fun. These robust plastic cotton reels (30cm tall) in 4 bright colours with 8 laces included are ideal for threading, patterning (copy, complete or create a patten) and colour activities. 80 robust plastic cotton reels in four bright colour..
A different task will need to be completed each time two cards are selected at random, creating constant new challenges! Count and Classify is ideal for the development of one to one correspondence, number language and number concepts such as bigger, smaller, longer, taller, wider, etc. 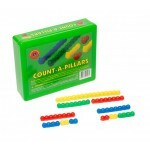 This valu..
Children begin to learn the math skills of counting, sorting, and measuring with these fun Count-A-Pillars. Set consists of: 8 x 16cm. 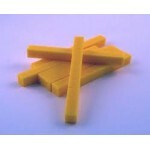 16 x 8cm, 24 x 2cm Count-A-Pillars in 4 colours. 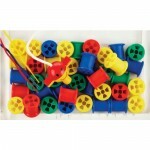 72pc supplied in a sturdy storage container ..
Colourful and durable items that help make maths fun. 20mm. 1000 plastic counters in 10 solid colours. 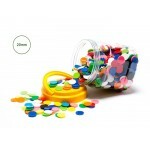 ..
Colourful and durable round, flat, disc shaped counters that help make maths fun. 25mm. the 'quiet counters' - soft plastic, 4 colour, 400 pieces ideal for all kinds of early maths activities from counting and sequencing to sorting and pattern making. comes in a sturdy PET jar. 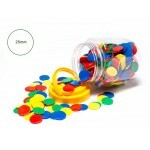 ..
Colourful and durable round disc shaped plastic counters that help make maths fun. 2 Colours. 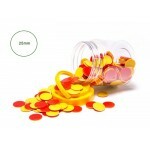 Soft plastic 25mm diameter 2 coloured (red and yellow) sided counters. 200 pieces. 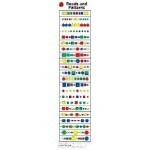 These counters are ideal for sorting, counting, probability and other numerical activities. ..